A team of essayists show how scientific and psychological advancements can improve society in this scholarly collection. In eighteen research-based essays covering subjects such as psychology, economics, and scientific theory, The Zeitgeist Movement Defined views the American political and economic systems through a different kind of lens. 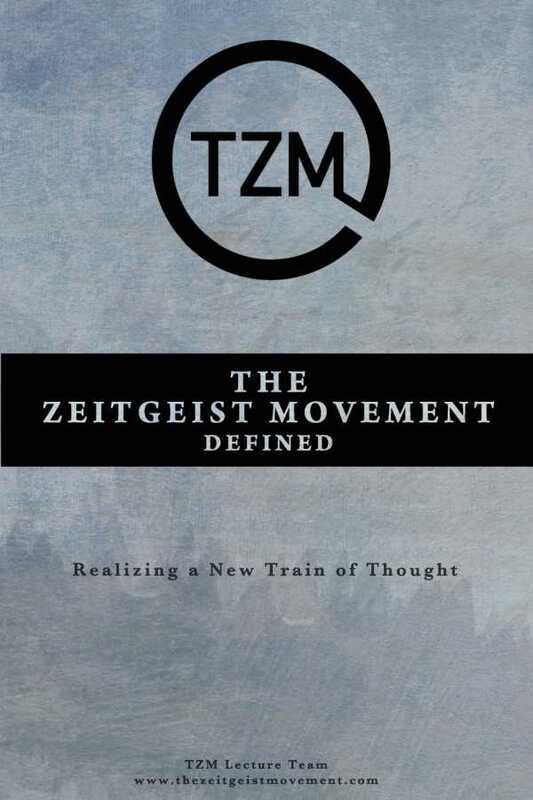 Composed of a panel of lecturers, the Zeitgeist Movement seems to direct itself by way of a train of thought that “follows this self-generating premise of understanding and it hence operates in a non-centralized, holographic manner, with this train of thought as the origin of influence for action.” In a nutshell, the goal behind the Zeitgeist Movement has to do with changing society’s influences and pressures in an attempt to reveal the best of the human condition. This type of change isn’t easy though. This is why, according to the authors, the book relies so heavily on research-based material, avoiding the more colorful and dramatic language expected from a book that tries to convince readers of something. A large part of this book’s strategy has to do with simply acknowledging how the persisting problems in American society are tied to a much deeper—and certainly much scarier—economic and political climate, which favors a capitalist ideology that has resulted, according to the book, in what Dr. James Gilligan termed “structural violence.” The context of this term in The Zeitgeist Movement Defined “extends to include the often unseen social oppression that, through the chain of causality characteristics inherent to our social system, leads to the unnecessary harm of people, both physical, psychological or both.” Backed by extensive research, the book addresses this system of structural violence, which includes everything from heart disease to class inequities, issues the book ties to increases in poverty and a decrease in the psychological well-being of people. One of the achievements of this book is its ability to find research-based connections between seemingly unrelated social and economic conditions. Without becoming repetitive or dull, each essay is able to shed light on specific issues in a way that is neither too academic nor too informal. Powerful quotes are used at the beginning of chapters, research is clearly footnoted throughout, and the language—albeit at times somewhat technical and term-heavy—does well to give a picture of how one social problem influences the next, and how one scientific advancement could, if accepted and adopted into society properly, change the way all humans interact with the environment that surrounds them.